The Carbolite HST & HZS Horizontal Split Tube Furnaces use free radiating wire elements embedded within the insulation of the furnace body. The benefit of this design is its flexibility; with the use of tube adapters the same furnace can be used with a variety of tube diameters. These furnaces comprise a furnace body which is hinged and split into two halves along its length. This makes exchange of work tubes easier and also enables the tube furnace to be used with reactors or work tubes where end flanges would make insertion into a non-split furnace difficult. This range of tube furnaces does not include an integral work tube and one must be selected as an additional item. The work tube length is dependent on the application, for example, for use with modified atmosphere or vacuum. 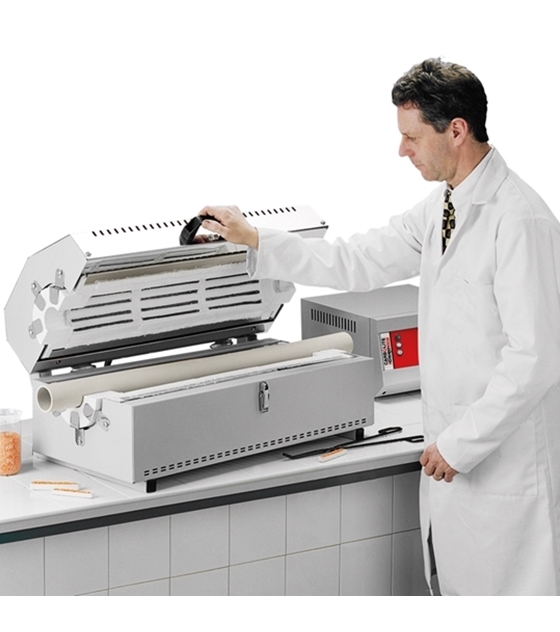 The use of a separate work tube has the advantage of protecting the heating elements from damage or contamination. 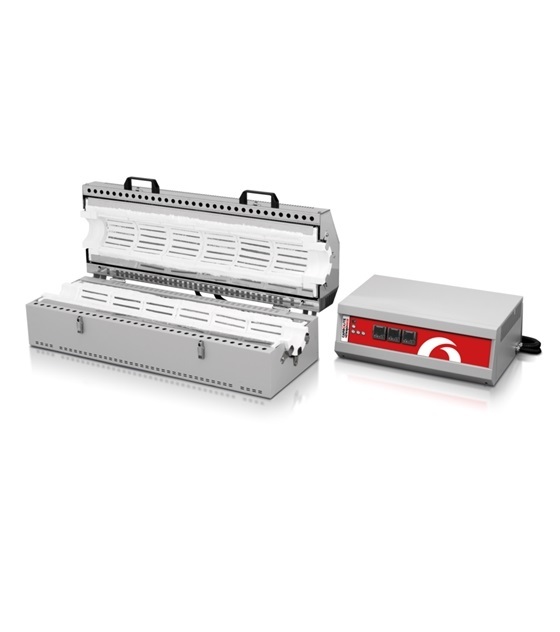 The HZS three zone tube furnaces offer excellent uniformity which results from division of the heated length into three zones, each with its own controller and thermocouple.